After featuring 5 bicycle stamps, mean looking cats for change. Maybe they aren’t really mean, but just not ingratiating at all. Somehow, colour combinations of these stamps evoke me 1960’s atmosphere. The last one to complete a set, kitten is a bit too sweet for me, though. Issued for centenary of death of Edward Lear, who was an English artist, illustrator, author, and poet. Illustration of the top stamp is from “Nonsense Books Songs and Stories” (1871), titled “The Owl and the Pussycat”. Owls and cats are repeatedly used in his illustration. A lots of pages of his Nonesense books are seen in this web site. I am not a keen collector of animal stamps, but I cannot resist good designed cat stamps. 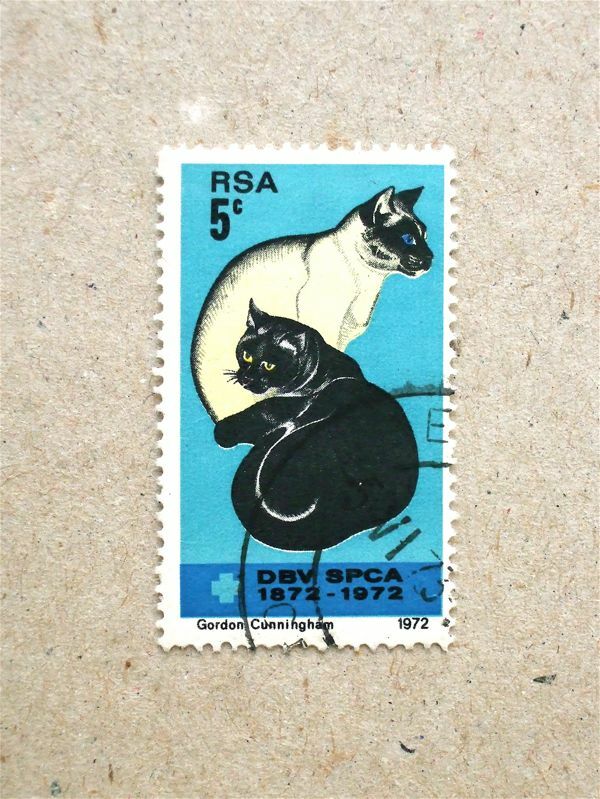 There are many cat stamps, but hard to find one I like. All four in this series are picturesque and graphically good, too.